Committed to values of inclusion, participation, and compassion. For everyone. 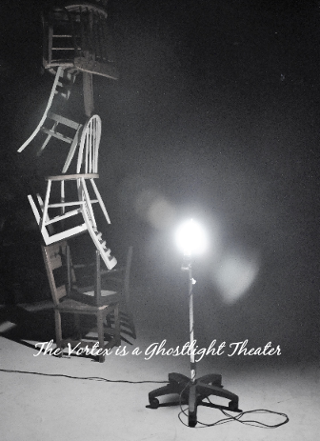 The Vortex Theatre joins a national coalition of theatres to celebrate "The Ghostlight Project," an affirmation of the theatre's power to celebrate artistic spirit, honor human diversity, and bring people together. Inspired by the tradition of leaving a "ghost light" on in a darkened theater, participating artists and communities make a pledge to continued vigilance and increased advocacy. "The theatre is a school of weeping and of laughter, a free forum, where men can question norms that are outmoded or mistaken and explain with living example the eternal norms of the human heart"
"A nation that does not support and encourage its theatre is—if not dead—dying; just as a theatre that does not capture with laughter and tears the social and historical pulse, the drama of its people, the genuine color of the spiritual and natural landscape, has no right to call itself a theatre, but only a place for amusement." "The artist, and particularly the poet, is always an anarchist in the best sense of the word. He must heed only the call that arises within him from three strong voices: the voice of death, with all its foreboding, the voice of love, and the voice of art." "Divide and rule, the politician cries. Unite and lead, is watchword of the wise."